About 80% of my current real estate income comes from beautiful homes in beautiful neighborhoods. These homes need no rehab, we don’t have to raise any money and credit is a non-issue. We don’t use it. There are no banks, committees, short sales, contractors, Realtors, appraisers or other costly entanglements and we’re in and out usually in less than 30 days, sometimes in less than a week. 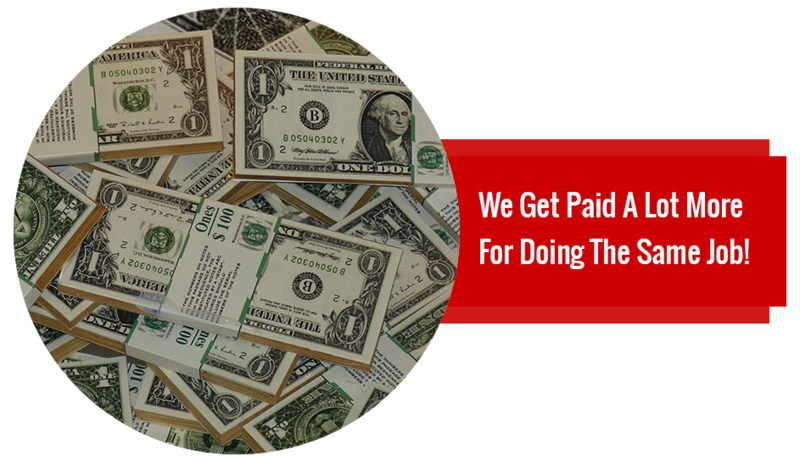 We guarantee no loans or leases or put ourselves at risk and no outside vendors or decision makers hamper our ability to get paid on six to twelve deals a month. Most of the work is done by VAs so it’s not a time sucking, life draining business performed only because we have to or else. It’s fun, exciting and a business we look forward to everyday because it’s never boring and we deal with intelligent sellers and buyers who have money and praise us for our involvement in their life. We’ve been focusing on pretty houses (For Sale by Owners) for about 2½ years now since we brought ACTS (Assignment of Contracts and Terms) to the world and during that time the things we learned have inspired a quantum leap in our business and hundreds of my students across the country. Before I go any further, you should know ACTS is only a part of our business and frankly not where the big money is in this business. I’ll get to that in a minute. You see, everything I just described about our business is true but until recently our market was houses ranging in value from $100,000 to $500,000, mostly below $300,000. Thus the paychecks ranged from $10,000 to $25,000. Same was true for our students, probably because they felt comfortable there and that’s what I taught them. Our profits come from down payments or non-refundable option deposits when we sell with owner financing or lease purchase. On $100,000 houses our average was about $10,000 and once we got into the 2s, 3s, and 4s the deposits frequently hit $25,000 and a few higher. Plus we noticed the sellers were easier to deal with and the buyers were really excited to find such nice homes they could buy or option when they couldn’t qualify at a bank. They’d scrape up every dime they had to please us because their options were so limited. 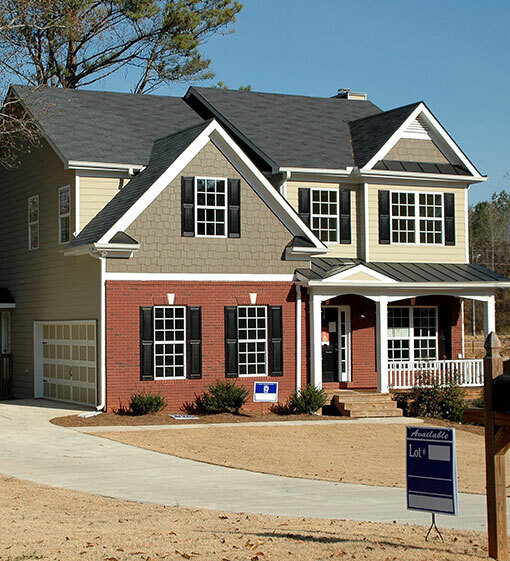 In fact, we were their only option to buy a home with seller financing or lease purchase in that price range. A wise man once told me The More Dollars You Waller In The More Stick To Ya! You see, people who own houses valued over a million dollars have the same issues when selling as those with lower priced houses. In fact, some even worse. They have to find a qualified buyer who can put down 20% and pass bank scrutiny for a loan, and today you gotta be squeaky clean to get a jumbo loan. This makes the buyer pool shrink drastically but opens up a huge opportunity for us. Find sellers who will sell with owner financing or lease purchase…TERMS! We then either assign our contract to a terms buyer (ACTS) or stay in the deal for the really big paydays when we can. When you deal with houses from $1,000,000 to $10,000,000 even the ACTS paydays are huge. Consider this. If you can qualify to buy a $3,000,000 house you’ll need $600,000 down (20%). And that’s if you can qualify with excellent credit and income. It doesn’t take much to get turned down, even with $600,000 down. Unqualified for a bank loan. That doesn’t mean I couldn’t make the payment or put up a big down payment. I’m not alone. 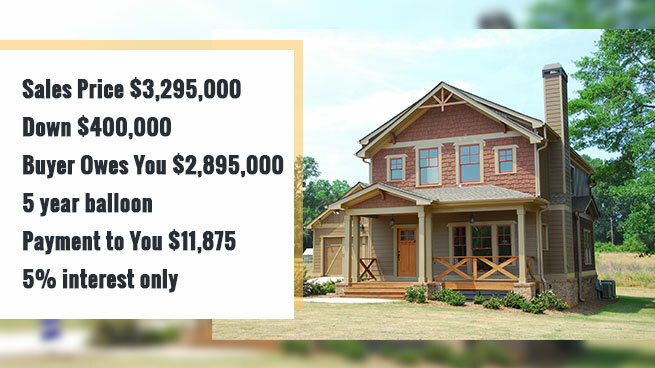 If it takes $600,000 if I’m qualified then imagine the flexibility you have if you can offer this same house with terms to a so called unqualified buyer. 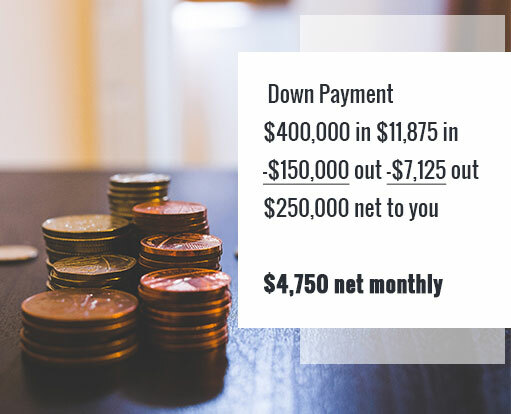 Find the sellers who will sell with owner financing with good terms and then sell the house for a higher price, more down and more per month and keep the difference. Relax, you don’t have to come up with the $150,000 or even be responsible for a $7,125 payment or certainly never guarantee a loan. That’s the beauty of this business…NO RISK! Your seller is perfectly clear you won’t be closing until you’ve located a buyer or sometimes we just get 90 days to close and keep the seller out of our business, thus getting plenty of time to find the buyer. Buyer comes along and offers $400,000 down at our $3,295,000 asking price with no bank qualifying. Remember they’d need $600,000 if they do qualify so they may have good credit but not enough down or poor credit and time to fix it – so the sale looks like this. Yes, I know the payment scares you but it won’t scare those looking to buy a $3,300,000 house. FYI, if the buyer borrows the same amount from a bank at 4% for 30 years the payment is $13,606. and if the buyer doesn’t close you get to take the house back and do it again…$250,000 richer. Do you see why I’d stay in this one? I see 4,750 reasons every month and another big payday if the buyer defaults plus a potential discount on the seller’s note when the buyer refinances. Now suppose the seller wants about $11,000 a month payment and you can’t see the market paying more. No good reason to stay in the deal. In that case you’d simply assign your contract to buy to a new buyer (ACTS), collect your $250,000 and be out of the deal. OK, I can hear your objections so let’s list them here so we’re clear. Will high end sellers really owner finance? Yep, about a third of them will if it’s free and clear and about a third will lease option if the house is mortgaged. We make six figures either way. Don’t I need a license to do this? Nope, not if you have a contract to buy. If you have a license you can use it too. Won’t the seller get upset if I make a lot of money? Not if you handle if correctly. If you’ll notice my example, my profit came by raising the sales price above what the seller wanted. It cost them nothing and they paid no commission. Plus if I stay in the deal, the seller need not even know what I made on the sale. I’ll close the purchase and sale the same day with two different closings. The seller will never meet my buyer nor know the details of my sale. Remember, I stay in this deal. I collect a payment and make a payment until the buyer refinances and pays me off, which I hope takes a long time since I get $4,750 a month. If it’s an ACTS deal where I assign my contract the seller will know what I make but so far the worst that’s happened is we have to renegotiate the split on the down payment. We always get at least half. Aren’t high end sellers hard to deal with and too sophisticated to work with us? Nope. We find them easier to deal with. They get it and very little training necessary. Isn’t the pool of buyers much smaller to buy these high end homes? Yes, but you only need one per house and every deal has a six figure profit. However, we are seeking non-qualified buyers with money and have them all to ourselves with no competition. Do you know any investor offering a $3,000,000 house with owner financing or lease purchase? I heard Dodd Frank outlawed seller financing. Is that true? Nope, you heard wrong. A few rules changed but seller financing lives. I’ll tell you this. Once you crack the code on these high end houses you won’t be interested in the cheap stuff anymore. I’m going to help you do just that. How to find the high end houses, get them to call your answering system then have your VA call them to screen before you get involved. We’ll supply the trained VA and the answering system. How to prescreen quickly and deal only with the best prospects and get them to commit to terms before your visit the house. How to talk to the sellers, what to say, scripts we’ve proved to work to overcome a lot of sellers resistance to terms. In fact, we’ll be practicing this a lot in class because we know this is the biggest hang up for our clients to overcome…You’ll leave confident in your ability to make these calls.